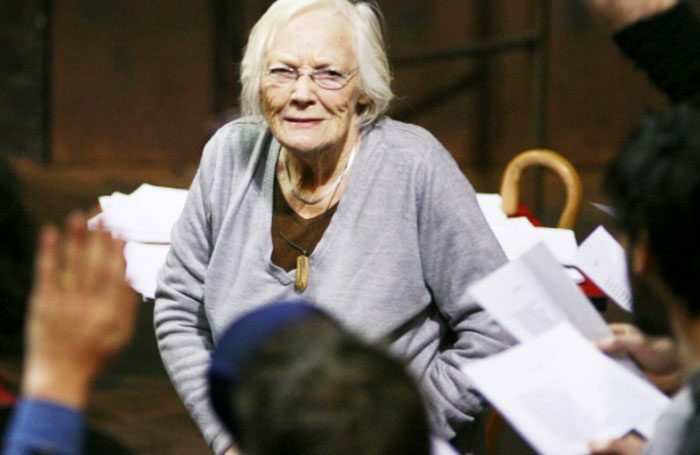 It was a wonderful experience to have Cicely Berry work on plays of mine at the Royal Shakespeare Company in the 1980s and 1990s. She was far more than a ‘voice coach’ – she was a great, practical theorist about drama; she thought that playwriting and acting were actually the same activity, that language and action in the theatre should be one. I am sad to hear that she is gone, but celebrate her. ‘Speak the speech, I pray you…’ Yes, Cis. To add to the comments that Susan Elkin’s article about the National Student Survey (October 18, p23) elicited from colleagues online, let’s also pause to reflect on NSS’ fatal flaw. 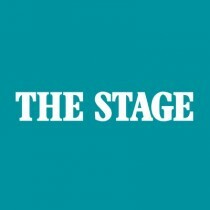 Can the National Student Survey help you pick your drama training? Students are invited to comment on their three training years across a variety of services: facilities, staff, feedback and so on. The key question now is: what are they comparing institutions with to reach any meaningful judgement? They’ve never been anywhere else. What, one presumes, they are assessing are their own expectations against a lived reality. How do we know we aren’t being assessed against a youngster’s fantasy? Dave Bond’s issue with selecting single seats online (Letters, October 18, p6) is, I think, a misunderstanding. The system is not preventing the purchase of a single seat. Instead, it is preventing the selection of seats that would leave a single seat available. I’ve been to the Love Theatre site and tried what Bond describes and I was able to select a single seat anywhere as long as my selection didn’t leave an adjacent single seat vacant. This practice is common on most online platforms, and is designed to prevent customers leaving a gap between themselves and other customers, thus avoiding a proliferation of single seats that are then unlikely to sell. The protocol certainly doesn’t discriminate against people going to the theatre alone, as the same applies to any quantity of seats selected – try selecting five out of a row of six available and it won’t let you. I have only recently heard that actor and writer Trevor Baxter died last year. He was a considerable influence on two young men in Liverpool during his time at Liverpool Playhouse. Bill Kenwright was working backstage at that theatre and we both knew Trevor well. He was, in fact, in his younger days, a lay preacher. His sermons at St Bride’s Church were always worth hearing. Bill had told him of a visit to see Marty Wilde, during which the girls were all screaming: “I love you, Marty.” And Trevor took this as his text for the Sunday sermon – indeed not a biblical one. But my abiding memory of Trevor was when Bill organised a trip to a club on the outskirts of Manchester, the Gaiety Westhoughton, where Jayne Mansfield was appearing. By now Bill was a successful actor and brought the cast of a TV play he was in. I transported Trevor from Liverpool by car. Although the Gaiety was a chicken-in-the-basket kind of place, Trevor still insisted that we had champagne. And when Jayne came among the audience singing, he whispered in her ear, then removed her shoe and poured champagne into it and drank it. Jayne never turned a hair and at the end she made a little speech of thanks to the audience and concluded it by saying: “Oh dear, my foot feels all soggy in my shoe.” A true professional. And Trevor a true original. Regarding Cameron Mackintosh’s argument that ‘Regional theatre needs much more investment if the industry is to remain extraordinary’, I say: Here, here. Small-scale touring companies are the poor relations in more ways than one – not for lack of dedication or talent but lack of consistent funding to enable companies to build on past success. How about theatres invest and give more support to the small companies that tour in the regions, putting on original, thought- provoking productions? Creatives are employed on stage and behind the scenes on shoestring budgets, yet never get mentioned in conversations when the big houses take up the noise. Performance maker Nima Sene: "Never passing as white allowed me to embrace being black. This influenced the idea of making Beige B*tch"